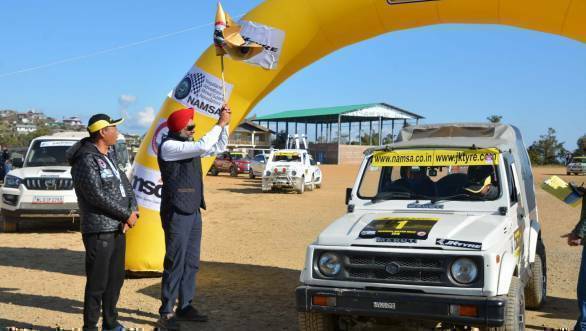 Defending champion Gagan Sethi lived up to his top billing and won the 2018 JK Tyre Hornbill Motor Rally alongside co-driver Sabatullah Khan. 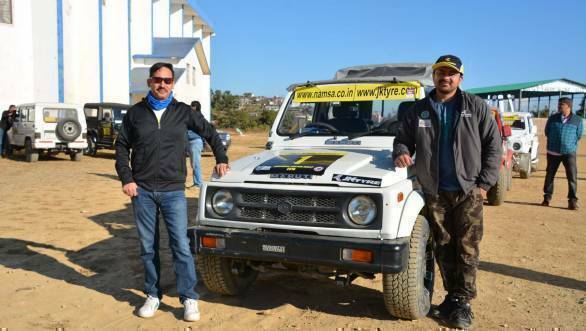 The duo completed the 55 km TSD rally with a penalty of 29 seconds to emerge victorious. Following them in the Open category, at some distance, were other national level competitors. The second place was taken by Bijo Awom and Chandrasekhar (1:44 minutes penalty), while Tali Akang and Nirav Mehta finished third with a penalty of 2:05 minutes. The event was being held in the backdrop of the Hornbill Festival. The event was flagged off from IG Stadium, following which participants traversed dirt roads, broken tarmac and winding hilly roads around Kohima. The drivers crossed seven time controls before making it to the finish in Kisama village. Sethi contended with a last minute car change and navigators, including Khan, faced a bigger challenge with the ban on high level odometers. They used basic mobile-based odo's, which were trickier. The presence of other top competitors made him work harder still for this win. "It was a difficult rally and I was facing a lot of problems with the car. But my navigator was brilliant and he helped us cruise past the field to claim the title," Gagan said after the rally. "Even though we were driving together for the first time, we hit it off instantly and our co-ordination was really very great," he added. In the North East category of the event, Alex Suohu and Akhrielie Vizo took the first place with a penalty of 9:44 minutes. Thezakkielie Zuyie (co-driver Moamarimsong) with a total penalty of 10.5 mins finished second while Anguzo Sekhose and Mengu Yhome (12:29 mins) claimed third. The chief minister of Nagaland Neiphiu Riphu commented, "I am really thankful to JK Tyre for their support in promoting motorsports in the country. The CMD of the company Dr. Raghupati Singhania reposed his faith in us and we shall walk together to make Nagaland the new motorsports hub of the country." He also called the event a grand success and vowed to make it even bigger in the years to come. A number of special category prizes were also given out. Kevin Puro/Neihu Dzuvichu were facilitated for having the best decorated car. The Couple Team award went to Atoka Awomi and Mercy Mezhatsu. Other winners were the "most disciplined team" of Mikrio Kyina/Arun Kyina and the Nagaland Adventure Club was adjudged the "best club".